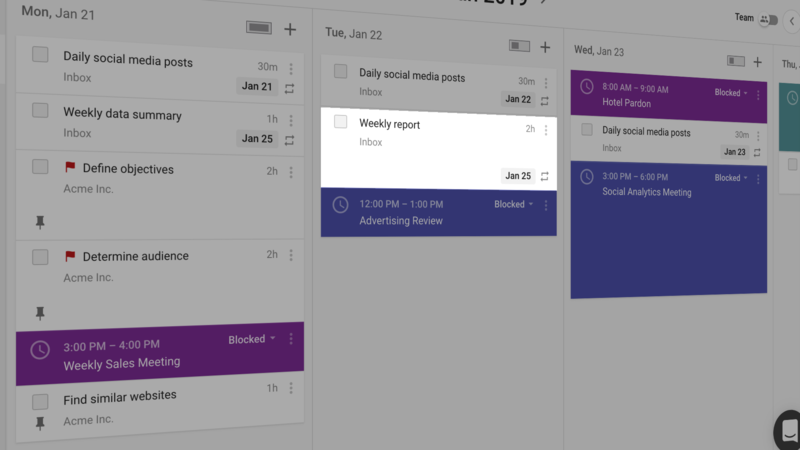 Automate the planning of things you do all the time. From tasks that need to be done on specific days to ones that need to be planned early so they finish on time. TimeHero offers a unique way to plan repeating work. By selecting ‘Once a Week’, TimeHero will attempt to schedule tasks as early as possible before your specified due date. This allows you to be flexible with your time without being overwhelmed. 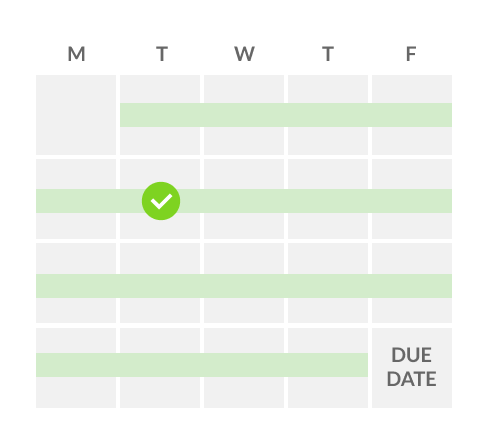 Every option is customizable so you can set a due date and start date that makes sense for you. TimeHero offers a very unique way to plan repeating work. By selecting ‘Once a Week’, TimeHero will attempt to schedule tasks as early as possible before the your specified due date. This allows you to be flexible with your time without being overwhelmed. Every option is customizable so you can set a due date and start date that makes sense for you. Manage work the smart way. Open your email inbox and click the link! For teams & individuals – Web, iPhone, Android, Mac.